Some great news today! I found $250 tucked away inside a paperback copy of Roger Angell's autobiography "Let Me Finish." 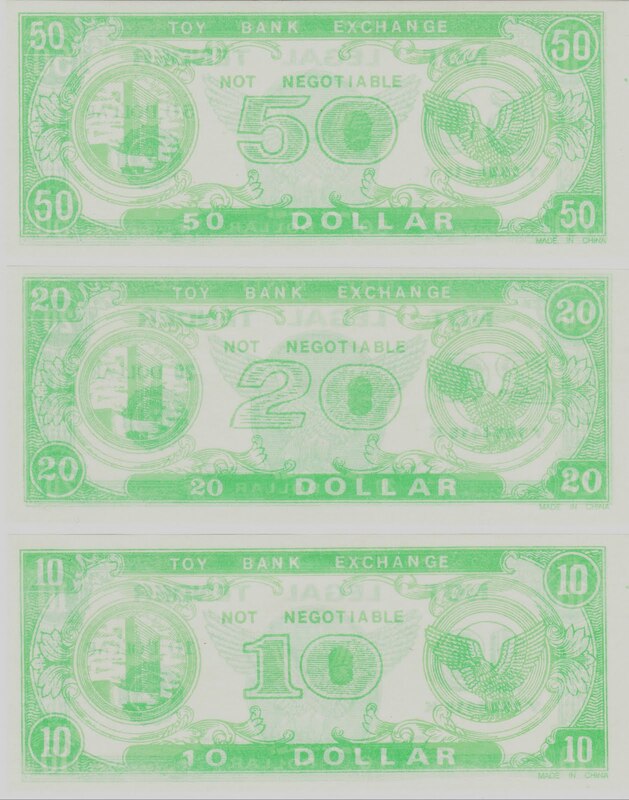 The tissue-paper-thin $50, $20 and $10 bills were made in China and have "Toy Bank Exchange" written across the top on one side and "Play Money" across the top on the other side. 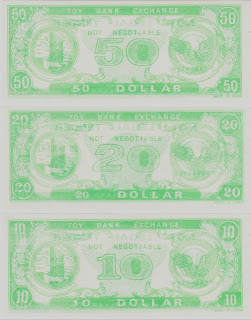 The most real money I ever found tucked inside a book? A crisp $2 bill.